I was home and went to close windows for the night and just looked into the night sky and saw a light in the west. Thought it was a plane at first but as I watched the light didn't seem to move. It appeared to be an orange sphere. I grabbed an old pair of binoculars and didn't get a great deal of detail so I grabbed a camera with 50x zoom and zoomed in on the light. Through the camera lens it was, at first, a perfect sphere but with geometric texture. I took 22 shots but because of the zoom and not having the camera on a tripod, most shots show camera movement. I would hear that it was just some special display. As it seemed to change shape it just suddenly was gone. When I looked at the shots I got I decided that it was not a plane or blimp or any flying object that I could identify. I went back on my patio and noted that it was a clear night with stars visible but the stars visible were much smaller and not orange in color. Note: This is only one of many amazing photos. While outside at my sister-in-law's home smoking, I noticed the object while looking for an usual commercial airplane altitude. When I turned my head toward the east, I saw this enormous objects. When I first saw it I was astonished because of the size. It was hovering horizontally in the sky. I told my sister to come check it out and the object was vertical at that point. When I saw it I had no doubt in my mind that it was a UFO. 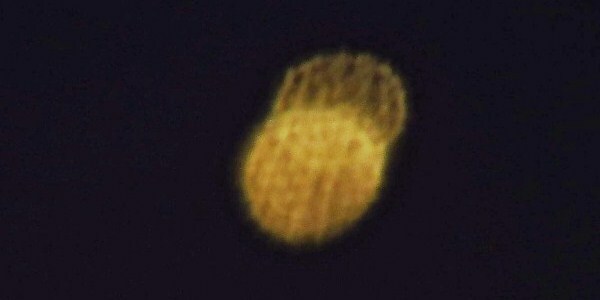 It was hovering, it was as big as a skyscraper, had 3 bright light that allowed me to make out the color,metallic silver. It was approximately between 4 -5 am. As soon as I noticed it was sitting horizontally on the eastern sky of Oklahoma, I called my sister in law cause I wanted her to see it. I looked and the object was vertical at that point. Before she could get a good look of it, this " mountain" flew up at a speed none of our aircraft could even come close to attempt, due to the monumental size of this object, I still can't believe what I saw last night. I never ever seen anything that can even come close to it. It was enormous ! It was cigar shaped but rounded on one side, and I don't understand how something so big could disappear in matter of seconds! Note: The above image is a rendering. Description: My name is T.K. I live in St Francis, WI at the Landing Lake Condos. A plane crashed into Lake Michigan. A single prop plane crashed killing two people. Police were looking around in the Lake. News organizations were there to report the incident. My girlfriend Pam and I went out to look after hearing about it. It was a little after the crash. I guess the time was about 5 PM. I noticed up in the sky and saw this black “Mickey Mouse eared” floating black object floating in the sky near, but not directly above, the boat activity. It was northeast relative to my position on the lakefront. There was no sound. It floated or hovered. It was very difficult to capture with my girlfriend’s Olympus camera. The focus went in and out. Luckily it was set to take quick shots in rapid succession and I captured these images. Then the object slowly moved up and away. It disappeared into the clouds as it moved east over the Lake. I hope you find the photos interesting. I used my girlfriend’s computer to crop and zoom in on the images. She still has the originals on a memory card for the camera. If you have questions, feel free to email me. Two people were killed when a small plane crashed Saturday in Lake Michigan off Cudahy, the U.S. Coast Guard said. The bodies of two middle-age males were pulled from the plane, which was found beneath 42 feet of water, said Erik Leuenberger, search and rescue mission coordinator for Lake Michigan for the Coast Guard. The Coast Guard identified the pilot as William Gensler of Racine. Officials said they were not releasing the name of the second victim, pending notification of relatives. 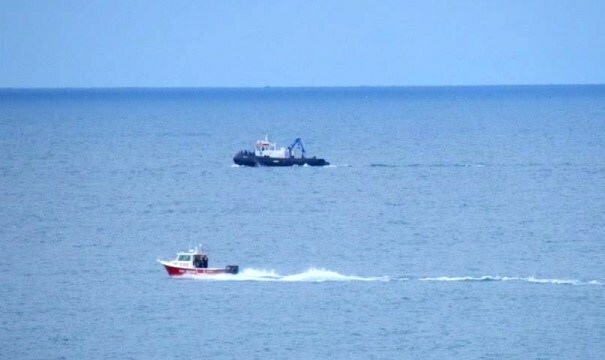 Rescue crews from the Coast Guard and Milwaukee Fire Department responded to the crash, which was reported about 2:50 p.m. Sixteen divers searched the lake for more than six hours. 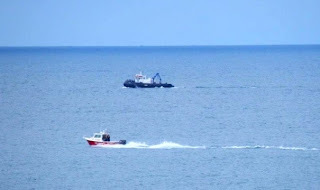 Two helicopters and seven boats assisted in the search. Officials said it isn’t known whether any others were on the plane and that the search would continue until they confirm that no others were on board. The plane was a four-seat, single-engine 1975 Piper Cherokee, which was reported down about 1.5 miles east of Cudahy. The plane is registered and based out of Batten International Airport in Racine, where it took off at about 2:30 pm Saturday, according to airport general manager Dave Mann. The Coast Guard said the plane apparently was bound for Oshkosh and the EAA AirVenture, which begins Monday. NOTE: The above photo is one of many that was supplied by the witness. On the evening of july 29th, 2013 at approximately 9:45 p.m. while driving home on a lonely dark country road I saw what appeared to be a set of stadium lights rising above the trees in a wooded area about 1/4th of a mile off the road. I was briefly perplexed thinking "I didn't know there was a ball field out here." Being that I was on a hill I had a fairly good view. As I proceeded down the hill I decided to pull over to get a better look. I turned my truck off and was struck by the deafening silence that surrounded me. What had happened to the nightly frog and cricket orchestra that graced our country summers? The two lights suddenly appeared to be so much closer, even though up until this point I had not seen them move. They slowly advanced towards the road and within what seemed like a second were directly in front of me just a little above the tree line. I said out loud "oh my god, oh my god". 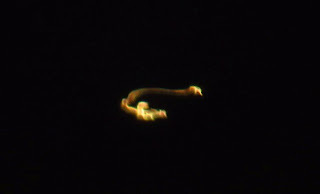 It was now evident that the two lights were connected by a long, dark body which donned a row of small airplane-like lights of varying colors (red, blue, green). The shape resembled a barbell with the lights being the weights.It was about the size of a commercial airplane. To be so humongous it was amazing that I heard NOTHING! And the lights were so bright however my vision was unaffected. The vessel disappeared from my visual field once its entirety had crossed the road. I pulled away and looking in my rear view mirror saw nothing. Note: The above image is a rendering. Silver Elongated Oval object Flying a few miles west from Bluegrass Airport heading east/north east between Lexington and Versailles. A few thousand feet off the ground, but below any cloud cover. Would have thought it was an airliner, but no discernible wings or sound. I live in the flight path of an airport, so I am pretty familiar with planes coming in and landing and flying over head. This was in board daylight around noon. It looked like it would have been a airplane doing a wide circle of the airport for a landing run, except I could not see wings and the object make no sound (IE there was no trailing jet roar, typical with most airplanes). Also the object was in airspace typically not used object was a significant distance off the ground, over 1000 ft, but not high enough to be a normal airliner cruising. It was also in an air space that normally the planes entering or leaving the local airport do not use for circling. It headed east/north east for a about a minutes or so, then seemed to turn north/north east and disappeared heading that direction. Note: The above image is a rendering.